SAC takes pride in providing a quality product at a reasonable cost. We work hard to keep our delivery times short in comparison to our competitors. Their #1 goal is to ensure our customers are satisfied…Mark is known for responding to emails at all hours of the night to answer questions as simple as “What’s Kydex?” Squared Away Customs is everything but a “cookie cutter” kydex holster shop. They love doing custom work and look forward to it! If you have an idea, they would love to talk to you about it. 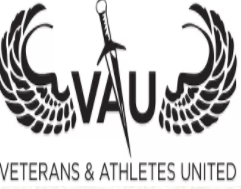 Veterans and Athletes United VAU mission is empowering all generations of disabled veterans to fully live their lives and honoring those who have made the ultimate sacrifice. We are patriotic citizens committed to serving our wounded, injured and ill combat veterans. We support Veterans, by building relationships and identifying and supporting immediate needs and interests. We are dedicated to promoting public awareness of the many sacrifices made by our Armed Forces. I wanted to thank you and your wife again for your generosity with the wounded care pack you guys gave me. Believe me, I was grateful to receive it but when I opened it at home and saw the items I was floored. And I'm 7 years post injury; I can imagine what someone feels like laying in a bed or rehab facility getting one of your kits, especially with the personal kid's message. Hell, I teared up with it. The Runway of Dreams Foundation is a nonprofit that works toward a future of inclusion, acceptance and opportunity in the fashion industry for people with disabilities. Founded on the basis that clothing is a basic human need, the Runway of Dreams Foundation develops, delivers and supports charitable initiatives to broaden the reach of adaptive clothing and promote the differently-abled community in the fashion industry. Through adaptive clothing donations, employment opportunity initiatives, adaptive design workshops, awareness building campaigns and scholarships programs, the Runway of Dreams Foundation is empowering people with disabilities with opportunity, confidence, independence and style. A promise to one and a need of many was what created the vision of “Eagle’s Healing Nest”. The “Eagle” represents the past, present and future military strength, independence, pride and honor. The “Nest” is full of meaning such as home, family, brotherhood, safety and security. 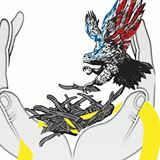 The “Hands” cradling the nest represents the many that will wrap their support and give services to the veterans and military members to help reintegrate them back to their families and into their communities. It is the vision and hope to never have those who served in our military to live in darkness but to bring them into the light to soar and fly free. To help restore the honor, dignity, pride and purpose each deserves. Support wounded, injured and ill service members, veterans, their caregivers and those that aid in their recovery by providing assistance and outreach in their recovery, comfort and morale, and through advocacy, education and promotion of their circumstance. Operation: Job Ready Veterans (OJRV) is a non profit organization dedicated to preparing service members, veterans, military spouses and caregivers for successful employment by connecting them with employers that seek top quality, well-trained employees. We make a personal connection and assist veterans of all eras and ability levels with their employment and career goals. The goal of Knight Federal Solutions' Purple Knight Initiative, in partnership with the Combat Wounded Coalition, is to provide paid internships to wounded warriors and disabled veterans who are looking for career opportunities in fields that are conducive to their abilities and desires for employment. This partnership is committed to the recovery and welfare of the wounded warrior. 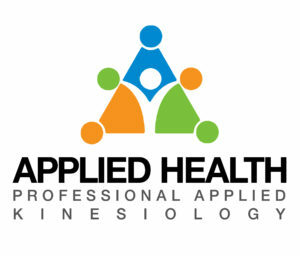 Applied Kinesiology (“AK”) is an advanced form of diagnosis in which every muscle in the body is related to an organ, gland or acupuncture meridian. Through testing specific muscles, the doctor can locate structural, biochemical and emotional dysfunction in the body and identify the proper method of correction. AK incorporates modalities such as Sacro-Occipital Technique, Cranial Sacral Therapy, Acupuncture Meridian Therapies, Chiropractic, Osteopathy, and Clinical Nutrition, to name a few. 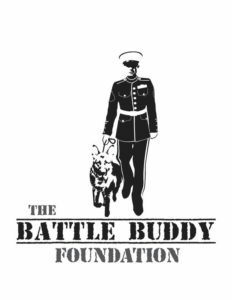 Currently, there are an average of 22 Veterans and one active duty member taking their own lives each day, and The Battle Buddy Foundation is dedicated to drastically reducing these numbers by providing, at no cost, programs specifically addressing this issue to the veterans who desperately need them. Due to these staggering statistics, their current focus is on their service dog program, a 'battle buddy' for daily life, that will help these veterans retrain themselves back into the civilian world, and allow for a higher quality of life for both the veterans, and their families. Face Forward provides financial and emotional resources to physically injured warriors pursuing cosmetic reconstruction procedures with Beverly Hills–based medical teams. This full-service care package includes support during the warrior’s surgical and counseling visits, including airfare, accommodations, transportation, surgery center, anesthesiologists, nursing aftercare, medications, and more. At Face Forward, we focus on healing more than just the physical damage caused by violence and abuse. Face Forward was created to heal survivors’ hearts, minds, and lives to restore their emotional health and overcome traumatic obstacles. It’s our goal to help them create a better and brighter future for themselves and their loved ones. As a result of believing anything is possible, we have seen our patients succeed as advocates, international motivation speakers, nonprofit founders and much more. Mutts with a Mission is a unique program specializing in training veterans and their dogs as highly skilled service dog teams. In addition to working with veterans who have dogs, Mutts with a Mission provides dogs for applicants who do not have a dog for training. 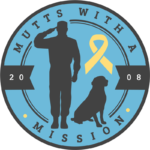 Mutts with a Mission is a veteran founded and run program, whose mission is to return independence to those brave men and women who sacrificed so much keeping our nation free. New York Vet practice is proud to partner with Combat Wounded Coalition to offer discounted veterinary services to veterans and their service animals. Services provided: Complimentary Office Visits, Complimentary Vaccinations, Complimentary Yearly Bloodwork, Complimentary Heartworm & tick disease screening, Complimentary Heartworm Prevention, 30% off additional veterinary services. Here is the promotional coupon. 1. Treat the brain injury. 2. Treat the physical and emotional symptoms of the injury. 3. Treat the family caregiver/spouse. Headstrong, founded in 2012, provides confidential, cost-free, and frictionless mental health care treatment for military veterans and their families that works. In partnership with Weill Cornell Medical College, one of the Nation’s leading mental health care centers, Headstrong developed an effective, individually tailored and comprehensive treatment program for Post-Traumatic Stress Disorder; Addiction Treatment; Anxiety & Depression; Trauma, Grief and Loss; and Anger Management, and Military Sexual Trauma.